The longlist for this year’s Stella Prize has been announced. This $50,000 prize is awarded for the best work of literature, fiction or non-fiction by an Australian woman published in 2018. The judging panel for this year’s award comprises Stella Prize co-founder Louise Swinn (chair), author Michelle de Kretser, journalists Daniel Browning and Kate McClymont, and Head of Children’s and YA Programs at Sydney Writers' Festival, Amelia Lush. Below are the 12 longlisted books for the 2019 Stella Prize. Olive Lovelock knows that the adults in her hometown of Mallee aren’t very good at keeping secrets and makes it her mission to uncover as many as she can. When she learns that she once had a baby sister who died, Olive becomes convinced it was murder. But her relentless quest to find out what happened may have seismic repercussions. Little Gods is a novel about the mess of family, about vengeance and innocence lost. Former Readings Prize for New Australian Fiction winner Stephanie Bishop’s third novel, Man Out of Time is a masterful and deeply moving novel about memory, inheritance and self-destruction. When Stella’s father, Leon, disappears in September 2001, the police knock at her door. Stella’s whole life has been stained by her father’s very struggle to exist, and as she rakes over her memories, Stella realises she holds the key to his discovery. But does he want to be found? And after all that has passed, can Stella bring herself to help him? On a sweltering day in a cliff-top beach shack, Jack and Lou Bright grow suspicious about the behaviour of their charismatic, unpredictable father. A girl they know has disappeared, and as the day unfolds, the family is pushed to breaking point. Twenty years later, the Bright children have remained close to their childhood home, but behind the beautiful surfaces of their daily lives lies the secrets of the past, always threatening to break through. In 1970s Melbourne, 22-year-old Italian migrant Antonello is working as a rigger on the West Gate Bridge. When the bridge collapses one October morning, his world crumbles. In 2009, Jo is on the verge of finishing high school, flush with the possibilities for her future. But one terrible mistake sets Jo’s life on a radically different course. The Bridge is a profoundly moving novel that examines class, guilt, and moral culpability. A powerful real-life thriller written with Chloe Hooper’s trademark lyric detail and nuance, The Arsonist is a heart-pounding investigation of the search for the arsonist responsible for the Black Saturday bushfires of 2009, and an excavation of the strange puzzle of his mind. This melancholy and mysterious chamber piece centres on art historian Noah Glass, who is found floating face down in the swimming pool at his Sydney apartment block, after returning from a trip to Sicily. His adult children, Martin and Evie, are still reeling from his death, when the police pay a visit: a sculpture has gone missing in Italy, and Noah is a suspect. As Martin sets off to Palermo and Evie moves into Noah’s apartment, both must come to terms with the shock of losing a man they may not have known very well at all. An exciting, electrifying new voice in Australian fiction. Teenager Monk and her father live in Chinatown, when a mysterious stranger – possible boyfriend, potential accomplice – appears in their lives, unleashing in both an intoxicating all-consuming hunger. In bursts of fizzing, staccato and claustrophobic prose, this modern Australian take on the classic hard-boiled novel depicts a heady world of art, casino resorts, drugs, pixelated tutorial videos, and senseless violence. An intensely gripping, yet black-humoured family drama. When her elderly mother is hospitalised unexpectedly, Vicki travels to her parents' isolated ranch home in Canada to help. She has been estranged from her parents for many years (the reasons for which rapidly become clear) and is horrified by the neglect she discovers on her arrival. What ensues is power play between her parents that takes a dramatic turn and leaves Vicki stuck in the middle of a bizzare and ludicrously strange family dilemma. Bri Lee’s fierce and eloquent memoir traces her journey through the Australian legal system; from her childhood as the daughter of a policeman, to law student, to judge’s associate and assault survivor, to legal complainant. Throughout, Lee rigorously examines of the law, asking: ‘whose side is the law on and who should carry the burden of proof?’ Eggshell Skull is a haunting appraisal of modern Australia from a new and essential voice. Kerry is on the run. When she returns back home to visit her dying Pop, she’s not planning on staying for long, but Bundjalung country has different plans for her. Lucashenko is a masterful storyteller, and this hilarious, feminist and thought-provoking novel touches on serious issues like rage and inherited trauma with humour and compassion. 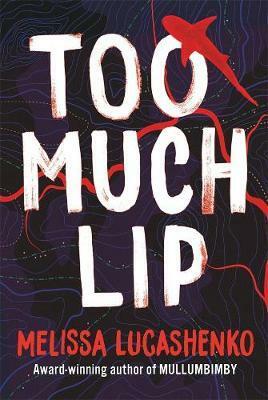 Gritty and darkly hilarious, Too Much Lip offers redemption and forgiveness where none seems possible. This boundary-defying book combines narrative reportage and storytelling to examine five axioms as applied to stories from the margins of society. Axiomatic is Maria Tumarkin’s fourth book of non-fiction, and her most pioneering. More than seven years in the making, it actively seeks to reset the non-fiction form in Australia. In this, the second deeply affecting collection of essays from Fiona Wright, the author meditates on the spaces we live in – our homes, bodies, and suburbs. The essays are poetic and observant, and often funny, putting Wright’s remarkable talents as a writer on full display. The 2019 shortlist will be announced on Friday, 8 March, with the winner to be revealed on Tuesday, 9 April. Find out more about the Prize and this year’s longlisted books (including the full judges' report) here.